The second part of the series is a report written and compiled by the staff of 16. Panzer-Grenadier Division using the experiences gained in fighting with Tigers of schwere Panzer-Abteilung 506 on the 4th of October 1943. Written only some months after the first Tigers had waded through hails of enemy shellfire the situation now looked quite different. Schwere Panzer Abteilung 506 was formed in July 1943 around a cadre from 9. Panzer-Division. It fought with Heeresgruppe Mitte at the Dnieper and later at Krivoi-Rog. It was sent to Germany and refitted with Tiger II (Königstiger) tanks in August 1944. It fought the Allies near Arnhem (during Operation Market Garden) and at Aachen. In November 1944 it was strengthened with a fourth company, known as the Schwere Panzer Kompanie Hummel which was used as a heavy support unit, where ever needed. It took part in the Ardennes offensive (as the only Tiger tank battalion from the Heer/regular army) in Dec 1944. It surrendered in the Ruhr pocket April 1945 and the dissolution of the Abt. took place in the city forrest of Iserlohn on 14th of April 1945. The 16.Panzergrenadier-Division was formed from the 16-Infanterie-Division (mot) in June, 1943 while it was stationed on the Eastern Front. The Division was transferred to the newly reconstituted 6.Armee in the spring of 1943. 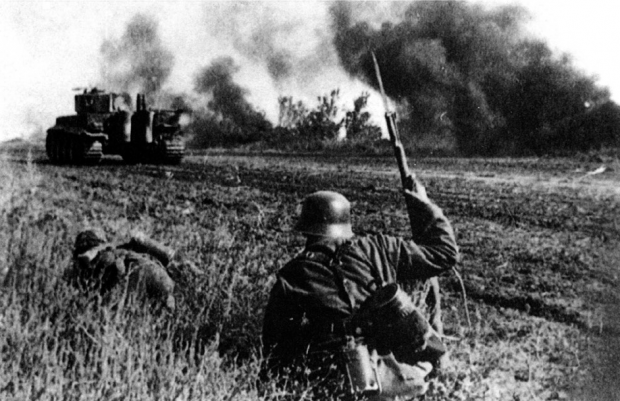 It did not participate in the Battle of Kursk, but was involved in the retreat from the Mius River and suffered heavy casualties during the fighting around Zaporozhe and the Dnieper battles, 1943-1944. Partially destroyed in Russia in 1944, the 16.Panzergrenadier-Division was transferred to France in March and later reformed along with the 179.Panzer-Division (Reserve) into the 116.Panzer-Division. Propaganda has figured the Tiger to be an invulnerable battering ram. Sadly this is not the case anymore. The Russians now seem to possess a new kind of ammunition for their T34 tanks and 76mm AT guns which enables them to destroy a Tiger from a range of 500 meters when firing frontaly and from a range of 1500 meters when firing from the side and rear. This means the Tiger is now subject to the same tactical combat conditions as any other kind of tank and assault gun. The days when the Tiger could wade through all kinds of enemy fire without taking significant damage are over. 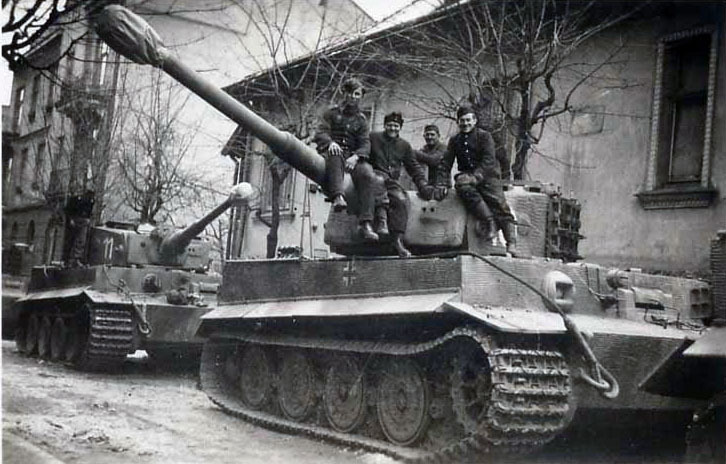 During the short operational period in the bridgehead of Saporoshje Tiger-Abteilung 506 has suffered significant losses.6 Tigers were destroyed and burned out after taking direct, armour-piercing hits from a range of about 1000 meters.1 Tiger was destroyed by a T34 on a range of 200 meters, but was salvaged later on.After the attack of the 26th of September in which the unit participated with 9 Tiger Tanks, none was left operational. Due to the weight and size of the cumbersome Tiger, moving it around requires meticulous preliminary planning and reconnoitering of marching routes. Due to this the deployment of Tigers is far more difficult and requires about triple the time compared with other tanks and assault guns. The Tiger is huge and has a height of about three meters. This means that it will never be able to avoid enemy detection and quickly becomes a target the size of a barn door, drawing enemy fire of all kinds and calibres. Russian regulations state that to destroy or immobilize the heavily armoured Tiger it is prerogative to hit it with all available firepower; artillery, mortars, AT guns and AT rifles. 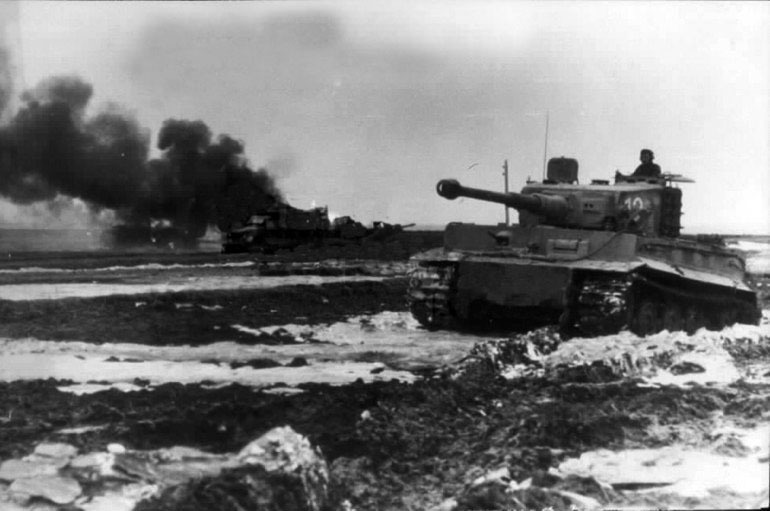 Near misses result in thick clouds of dust and smoke which block visibility and effectually hinder the Tiger from firing. As soon as the Tiger is spotted on the battlefield it gets showered with enemy fire of all types, making it totally impracticable to couple a unit of attacking Tigers with a unit of attacking infantry as this would result in severe losses inflicted by the sheer volume of fire directed against the tanks. Attacking Tigers always have to be separated from the infantry. The power of the Tiger results from his long-range gun not from its armour. It has to bring this power to bear from a well-chosen position. Due to the quality of the gun it does not matter if this position 300 meters further away or closer to an enemy. When trying to attack enemy positions defended by infantry and AT guns it is vital that the Tigers are used in multiple numbers and are divided into successive waves being able to support each others flanks and rear. Again there is no difference to the deployment of other tanks and assault guns. The operative use of a Tiger in support on an infantry attack has to be conducted according to the following principles:The Tiger supports the infantry by direct, long-range fire from inside the depth of the field. To be able to do this there has to be enough room as to allow the Tiger to change its position to wherever it is needed. The attacking infantry has to be separated from the supporting Tigers to avoid taking losses by fire directed against the tanks. It has to be noted that even if the Tiger is able to take a lot of damage it should not remain stationary for to long as the sheer amount of enemy fire directed against it is likely to result in damage to the gun, tracks and vision slits and will sooner or later take it out of action by disarming or demobilizing it.Further it has to be realised that a Tiger crew suffers immensely from the effects of concentrated enemy fire directed against their vehicle. Every single operation conducted is a test for their nerves. Tiger crews can by no means stay in action day after day. The same applies to the vehicles themselves. To make sure the tanks stay operational great care should be taken to realise regular technical maintenance.Each attack conducted with Tiger support can only be executed after a careful planning of the marching routes and reconnoitering of the terrain and enemy dispositions. The professional opinion of the infantry and Tiger commanders is to be heard and great care is to be given to treat their opinion seriously.Ignoring the above principles will likely result in the loss of Tigers and severe losses in the infantry units accompanying them.Every officer and especially those on a regimental and battalion level should memorize these rules and make sure that they are followed when conducting operations in conjunction with Tiger units in support. Thus severe losses in vehicles and tanks can be avoided in the future.